Los Angeles, CA – June 2017… He’s a Grammy-winning producer and engineer who has worked with such artists as Marilyn Manson, Jack Johnson, Los Lobos, Beck, and The Mars Volta. Not surprisingly, Robert Carranza has a firm grasp of the latest digital technology. 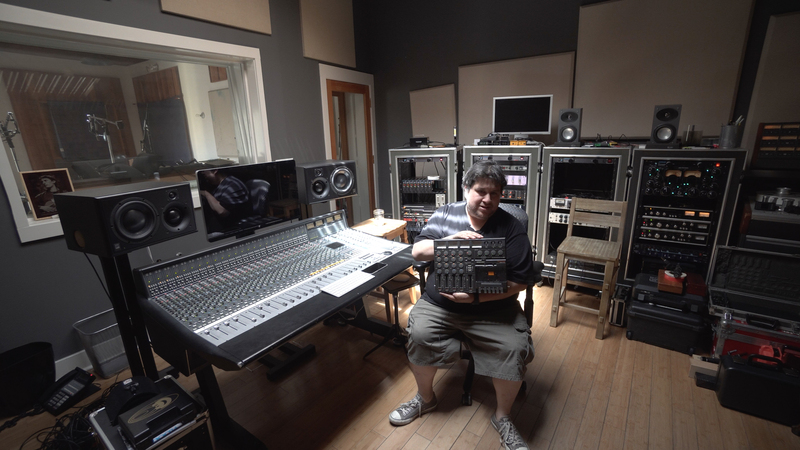 In addition to his DAW, he employs a TASCAM DV-RA1000HD Master Recorder, and more recently he added a TASCAM DA-3000 Stereo Master Recorder/ADDA Converter to his studio. But Carranza also records to good old analog tape, as he did for Johnson’s number-one-ranked album Sleep Through the Static (2008). It all goes back to the start of his career, which he credits to his TASCAM Ministudio Porta One. Today, Carranza and Jack Johnson co-own a recording studio that they built into a 100-year-old house in the Hancock Park section of Los Angeles, where they, in turn, make records people love. “The house is big enough for the record company, as well as the studio, and it’s all solar powered,” Carranza observes. “The cabling, the two tape machines, and some of the acoustic treatment are recycled from other studios. Instead of building from scratch, we built from recycled parts.” Recycled, that is, except for some key items, notably including his TASCAM Porta One, which is original equipment.